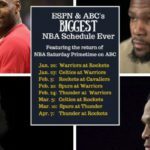 ESPN will begin its 29th season of Major League Baseball coverage with a 10-game season-opening schedule, including an Opening Day quadruple-header on Thursday, March 29. That day, ESPN will televise 13 consecutive hours of Opening Day action with games at 12:30 p.m. ET (Chicago Cubs at Miami Marlins), 3:30 p.m. (Houston Astros at Texas Rangers), 7 p.m. (San Francisco Giants at Los Angeles Dodgers – exclusive), and 10 p.m. (Cleveland Indians at Seattle Mariners). ESPN’s 29th season of Sunday Night Baseball – the exclusive, national MLB game of the week – opens on April 1, when the Dodgers host their long-time rivals, the Giants. There will be a special start time of 8:30 p.m. Sunday Night Baseball is also available on ESPN Radio, ESPN Deportes and ESPN Deportes Radio. All ESPN MLB telecasts are also available via the ESPN App. 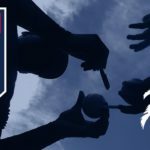 The season-opening schedule will include several of baseball’s biggest stars, including AL M.V.P. José Altuve, NL Rookie of the Year Cody Bellinger, superstar slugger AL Rookie of the Year Aaron Judge and two-time M.V.P. Mike Trout. Also, ESPN will televise two full-national appearances each by the defending World Series Champion Astros and the defending NL Champion Dodgers, as well as both team’s home-openers. 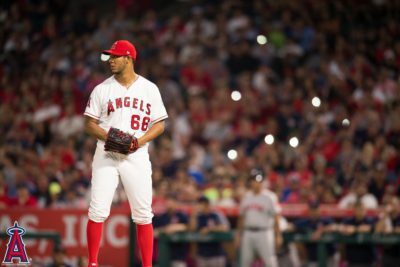 The Indians visit the Los Angeles Angels and two-time M.V.P. Mike Trout on back-to-back nights. Unless otherwise noted, these MLB season-opening games are available on ESPN nationally and in home markets. *Telecast will be subject to blackout restrictions in the Chicago market. **Telecast will be subject to blackout restrictions in both the St. Louis and New York markets. ***Telecast will be subject to blackout restrictions in the New York market.